The amount of panic threads on this site simply because the Celtics didn't start the season red hot and clicking on all cylinders is kinda astonishing. Stevens doesn't know how to coach good players. Send Hayward to the G League. Geesh. Thank God the Celtics have Stevens and Ainge and know not to do crazy, panicking things because a season and playoffs is a marathon, not a sprint. It’s kinda funny that before the season, most of us expected a bit of a slow start. Then we have just that (but all losses were close until the final minutes) and people want to change everything. It doesn’t take Ainge and CBS to not do some of these crazy propositions, any sane front office wouldn’t. 95% of fanbases wouldn’t suggest these ridiculous ideas. At least, until there’s some actual analysis comparing the two. Brad has never had a top-10 player. Phil had four top-50 players of all-time, including the GOTME. (Greatest Of The Modern Era). I'm not sure about this. 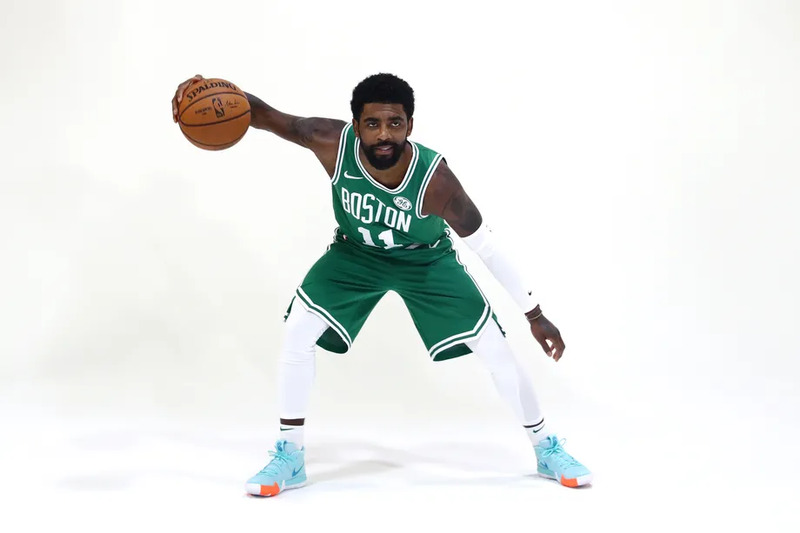 I recall quite a few people saying they expected Hayward, and to a lesser extent Kyrie, to start slow because of missing so much time last season. But as for the team overall, my impression was that most people here were expecting Boston to cruise to 60+ wins. im not in a panic mode , things will get better first of the year once the guys get back in play n shape. Phil Jackson only coached loaded teams, he was too cowardly to try to build a winner. Celtics could still cruise to 60 wins. They haven't played many of the sad sisters of the league yet. They have played Philly, Toronto, Milwaukee, Indy, Denver, OKC, and a mediocre Detroit team twice. They had a bad loss to Orlando which if they had won would put them at 7-3 against a tough start to the year schedule. Once they start clicking, I could easily see a 10+ game winning streak or something like a 22-3 run. No, he's far more humble. I'm not happy with how they're playing, but this is a major overreaction. We're only ten games into the season. This entire forum is a hot take machine right now. It's much easier to just avoid the entire forum until the season settles down. So true! You know those Sox will lose to the Yankees, Astros..Dodgers  Celtics definitely stand no chance with that amazing coach at the reins! Teams take time to gel...this one is no different no matter the talent. So after 10 games we’re in wrist slitting mode already? I would just add that Phil Collins is no Phil Jackson. If we start to play a little better, let’s say we go 7-3 over our next 10. Then a little better, let’s say 8-2. That’s a 15-5 stretch, and would put us on 57-58 wins. I wouldn’t rule out 60 wins just yet. They can go on a nice run soon or in January that put us back on that pace (where we were just two games ago). At 6-2 and coming off defeating Milwaukee, we were all feeling good. Then a loss on a buzzer-beater and another in high-altitude against a 9-1 team backed by a career-game. If those two things happened in February, nobody would blink. It’s really just so early and a 6-4 start is really not that big of a deal. Kyrie did start slow. He’s picked it up, he’s looked really good. Gordon is still getting there. Horford is shooting career lows from field and deep. Tatum and Brown significant drops in percentages from last season. Smart 18.5% from deep. These are starts that are unlikely to continue for much longer. They will get going soon. Time for Mr Perfect Coach Stevens to get his share of the blame. So he's great with Scrubs and underachievers. He preaches ball movement and wants everyone to share the ball. Well that's not how titles are won Brad. At some point when you have the big Egos you have to manage and motivate them properly. It's not easy. Brad is not an Alpha coach. It's becoming a big problem. He has to make changes. He's doing nothing. Step up your game Coach. Bench Hayward or Kyrie. We are 14 and 14 in the last 28 games Kyrie has started. Start Rozier. Do something. Light a fire. Go back to the starters last year. that is because Kyrie's game has never been one of truly winning basketball. He just doesn't affect the win and loss column very much. This is much more a Kyrie issue than a Brad issue.